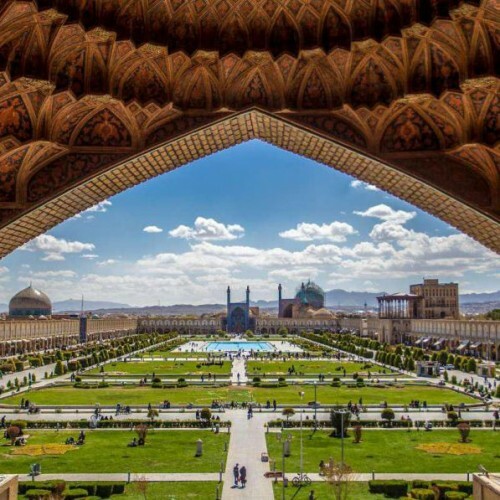 Ali Qapu is a grand palace in the western part of Naqsh-e Jahan Square, one of the main tourist attractions of Isfahan. The name of the palace means “imperial gate” – Ali Qapu stands in front of the two palaces of Safavid Era. 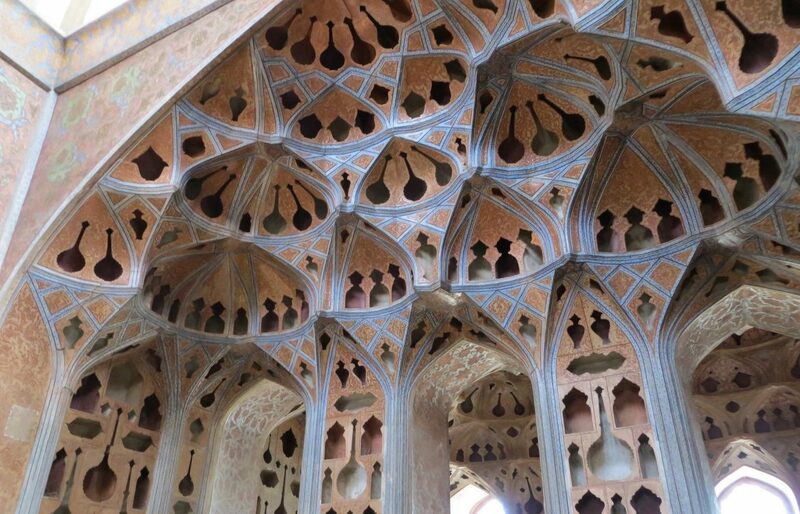 Ali Qapu palace was built between 1611 and 1629 as a part of Naqsh-e Jahan Square complex by the decision of Shah Abbas and under the guidance of architect Shaykh Bahai. 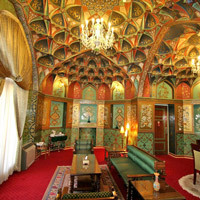 Ali Qapu palace was meant to be a residence of the Shah and symbolize his power. 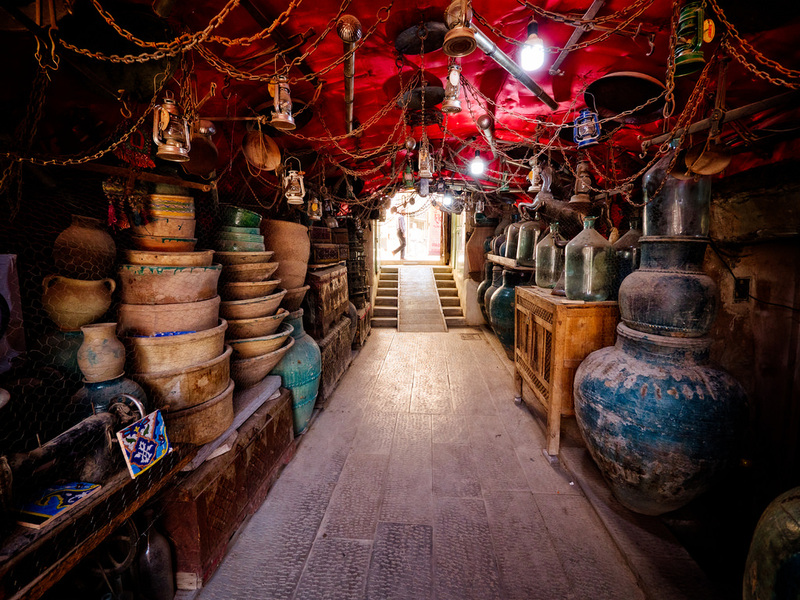 Ali Qapu was built in several stages, and the initial structure was only two floors high. 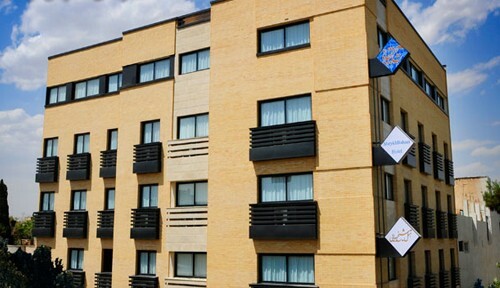 Now the building has six floors with lots of halls and huge balcony. 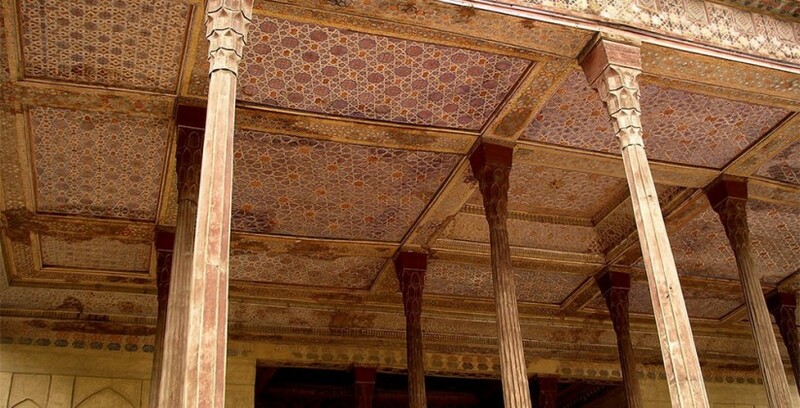 The palace was pillaged and partly destructed during its history and restored by different rulers. Several floors of the palace are designed for different purposes. The first floor was used as a chancellery. 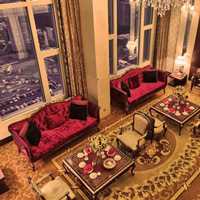 The third floor has a large hall which was used for Shah’s official receptions. 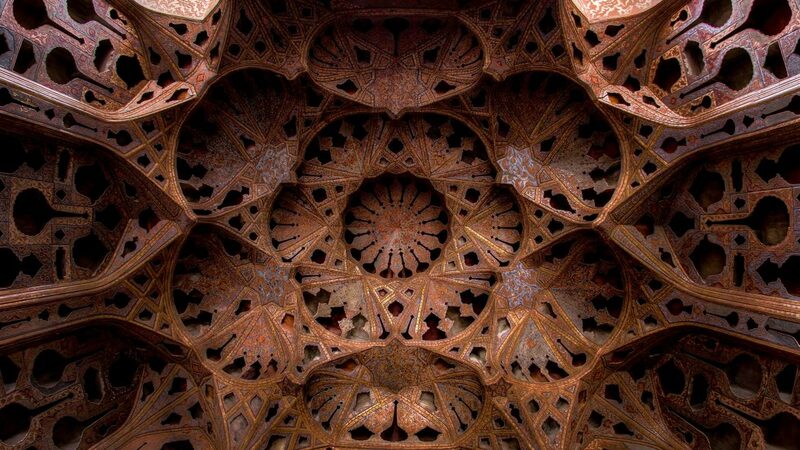 The ceiling remains in its initial state with paintings of Reza Abbasi – the court painter of Shah Abbasi. The sixth floor is usually referred to as Music Hall. The interior of the room has not only decorative but also practical purpose – the shape of the walls contribute to acoustic properties. This hall was used for private parties and concerts of musical ensembles and singers. The balcony was built on one of the last stages. 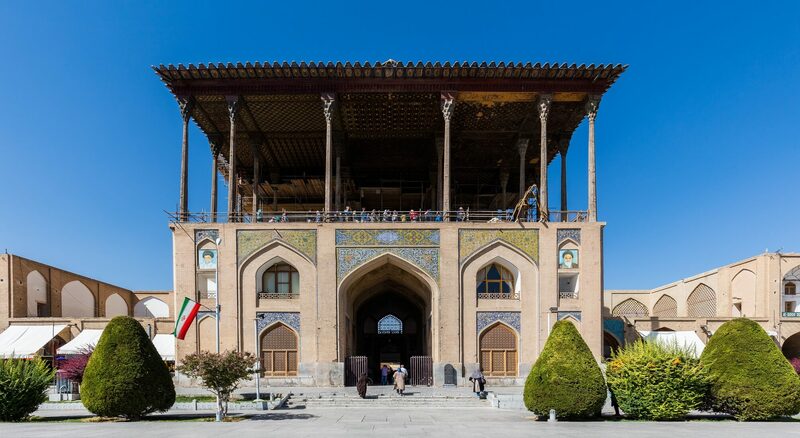 It is supported by 18 wooden columns and provides visitors with a spectacular view of Naqsh-e Jahan Square. 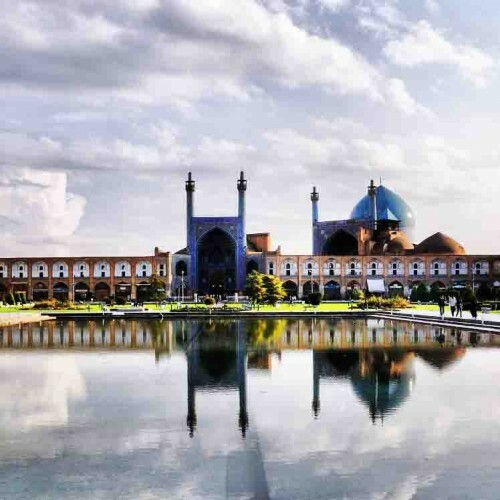 Ali Qapu stands in the western part of Naqsh-e Jahan Square, which is located in the very center of Isfahan, surrounded by many other attractions. 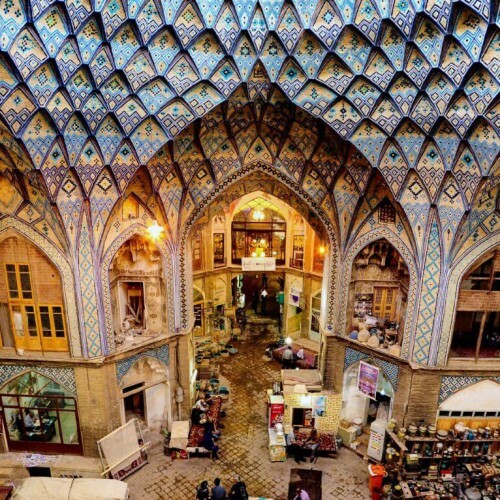 The north end if the square through Qeisarie Gate turns to the Imperial Bazaar – the main bazaar of Isfahan. 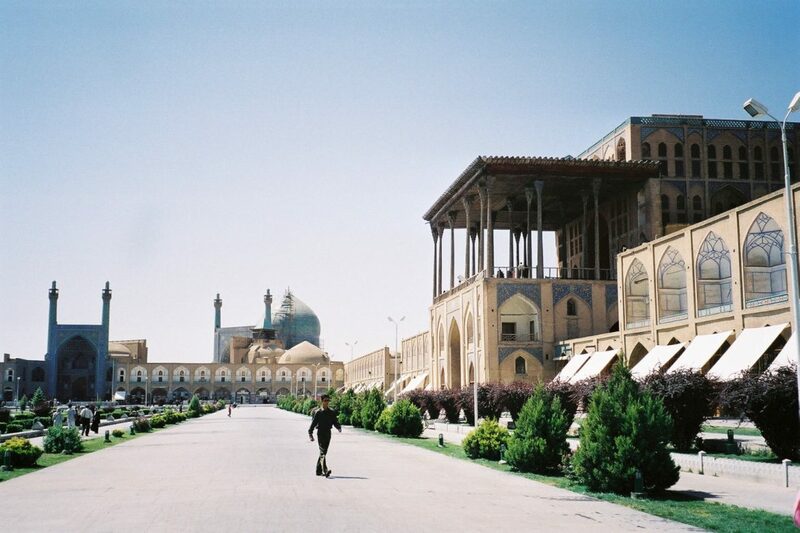 On the south from the square there is majestic Shah’s Mosque located. 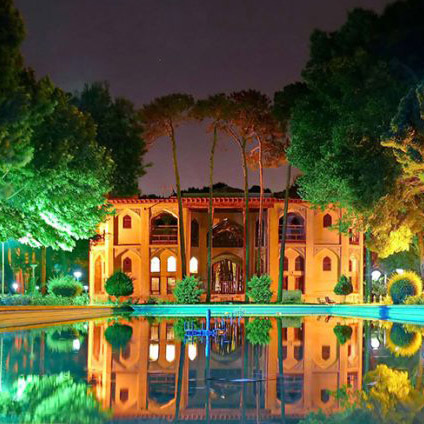 In walking distance from the square there are Shah Historical Bath, Chehel Sotoon Palace and Hasht Behesht Palace. After 20 minutes’ walk you will reach Si-o-Se Bridge. 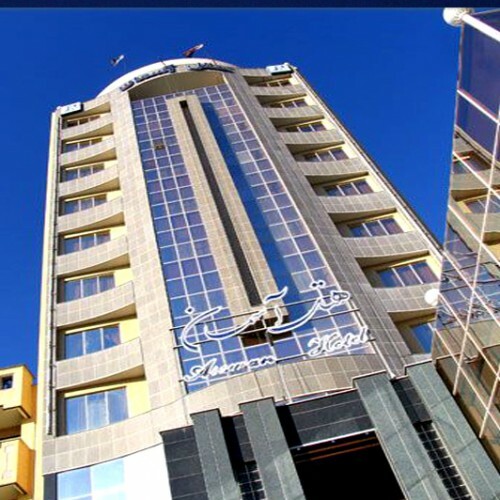 If you would like to stay next to Ali Qapu, there are a lot of options to choose from. 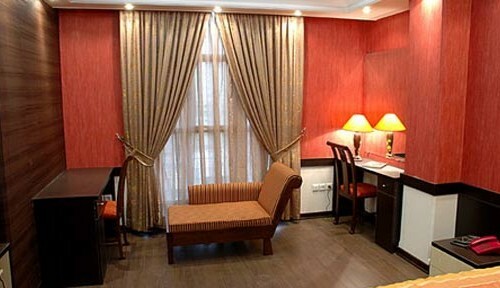 Probably, the closest hotel to the palace is 1-star Partikan Hotel. 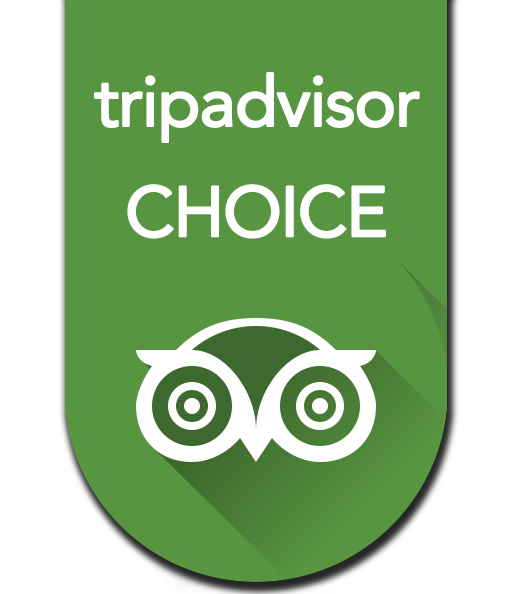 Also among budget options, there are 2-star Pars Hotel, 3-star Part Hotel, and Safavi Hotel. 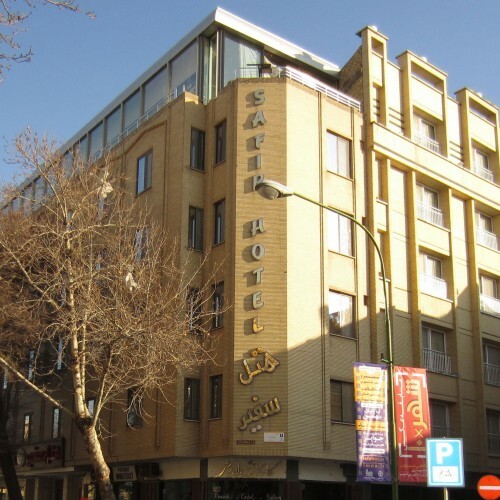 For more luxury stay check out 4-star Piroozy Hotel and the gem of Iranian hospitality – 5-star Abbasi Hotel, one of the oldest hotels of Iran. 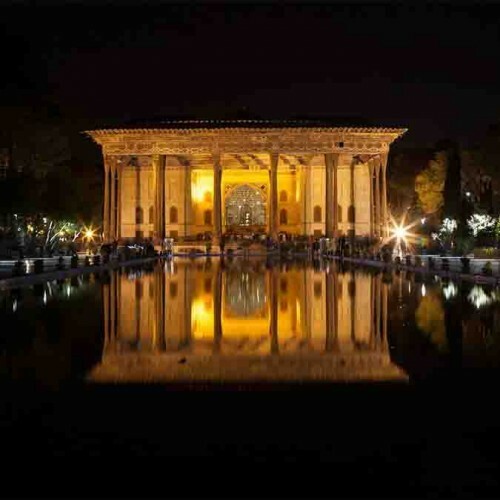 All the best restaurants in the city are located around Naqsh-e Jahan Square and, accordingly, not far from Ali Qapu. 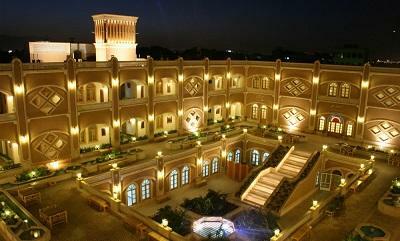 You can try traditional Persian cuisine in Azadegan café, which is considered to be one of the best cafes in Isfahan. Besides the original menu, you can find interest in the café’s interior. 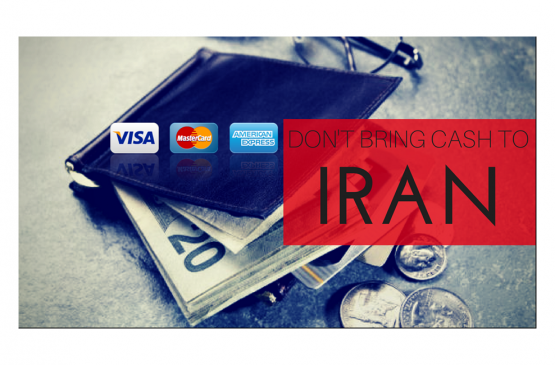 You also can have Iranian food in Bastani café, snacks in Roozegar café, or enjoy coffee with desserts in Coffee Left or Café 404. 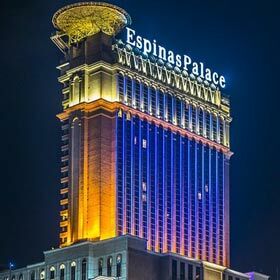 The opening hours of the palace are from 9.00 till 18.30. 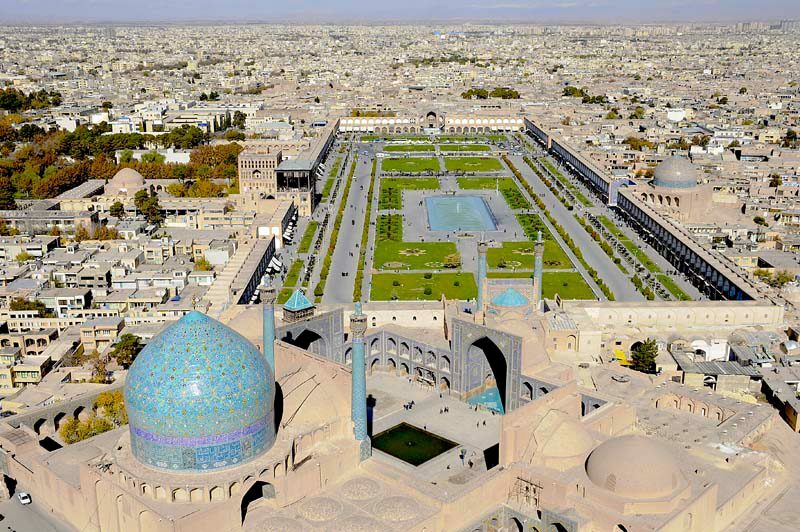 If you also want to visit mosques of Naqsh-e Jahan Square, mention that their working hours are based on the praying schedule. 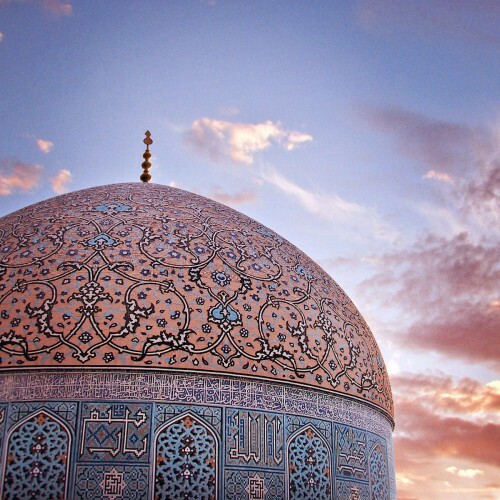 After visiting Ali Qapu take a walk around Naqsh-e Jahan Square to enjoy the view of the sunset light caressing the domes of the square. 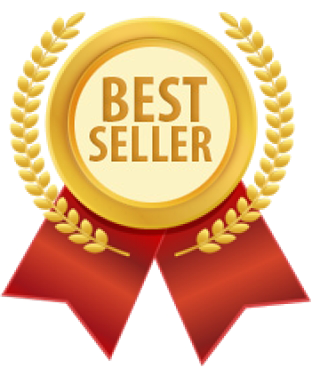 If you are staying far from city center or coming from airport or bus station, the closest metro station is Takhti. It is located in 20 minutes walking from the palace. 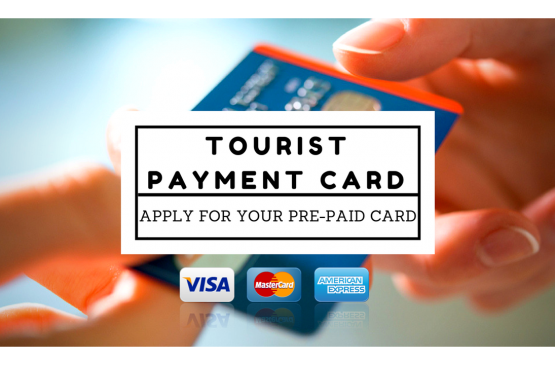 If you want to use the bus to get to the palace, choose a bus passing one of those two stops - Central Library and Khorshid Hospital.